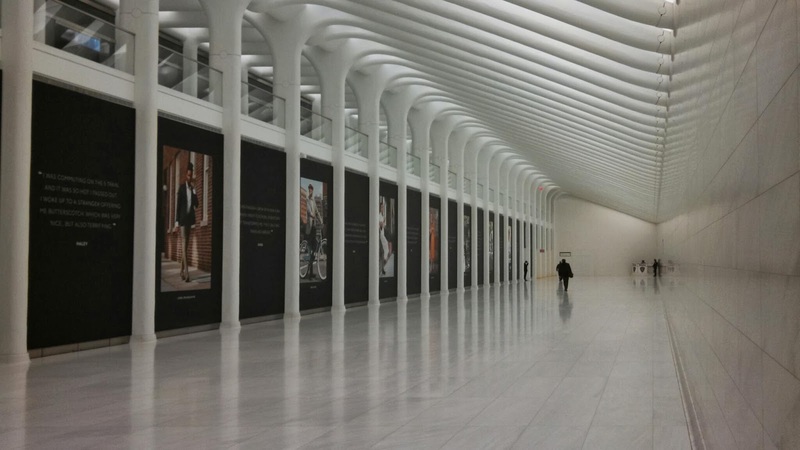 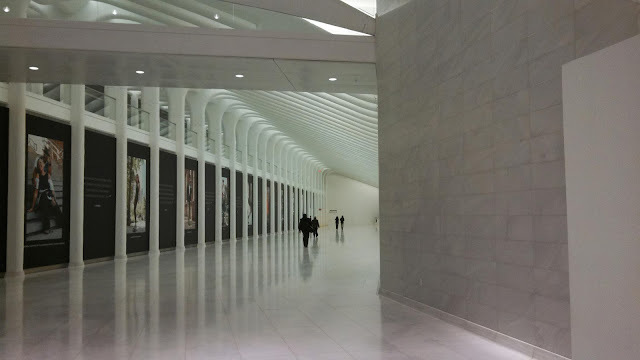 The World Trade Center connector between the PATH transit station and Brookfield Place (former WFC). The connector looking towards PATH. 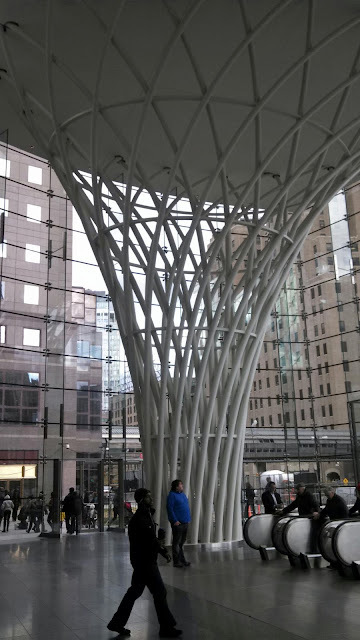 Eventually, this area will be lined with shops and be incorporated into the larger Westfield mall under construction around the PATH transit hub and between and around the memorial/museum and skyscrapers on the site.